At the camping Lous Seurrots, forget the everyday hassles and enjoy each minute of your holiday. 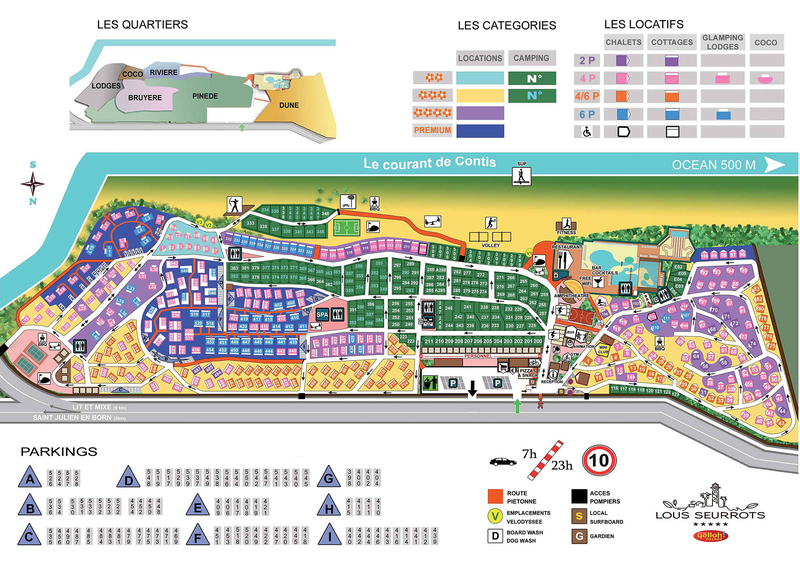 The campsite offers a wide choice of services aimed at meeting all your needs. Why wait, find out more now! Because a holiday should also be the time to treat yourself, we've thought of everything! Whatever their appetite, the whole family will be more than satisfied. Opt for the quality cuisine served by our restaurant, or a quick bite from the snack bar. Enjoy! Spend your best-ever holiday with Yelloh! Village. Do not hesitate to contact us on 05 40 61 00 95. Here, everything possible has been done to make life on the campsite easy and convenient. Simply ask at reception, we're here to help! Tourist information, our entertainment programme, all you need to know about the campsite, equipment loan and hire... Find the answers to all your questions! The campsite also boasts a laundry, mini-market for last-minute essentials and a bakery... Make yours a truly royal holiday!